As you all know my football team, the Seahawks, won the Super Bowl last year. We are back in the big game again this year (duh, of course) which is insanely exciting. Last year, Nate and I hosted more than 20 people at our house for the game, but this year since we moved to a townhouse, just really don't have the space to host again, unfortunately. All that said, every Super Bowl is jam packed with snacks and food and it has a tendency of being really unhealthy and very "meat centered". I don't digest meat very efficiently so I don't feel great after eating a lot of chicken and I haven't eaten beef for the past 10 years (with the exception of the "Accidental Beef Taco Incident of 2014", which is a story for another time). 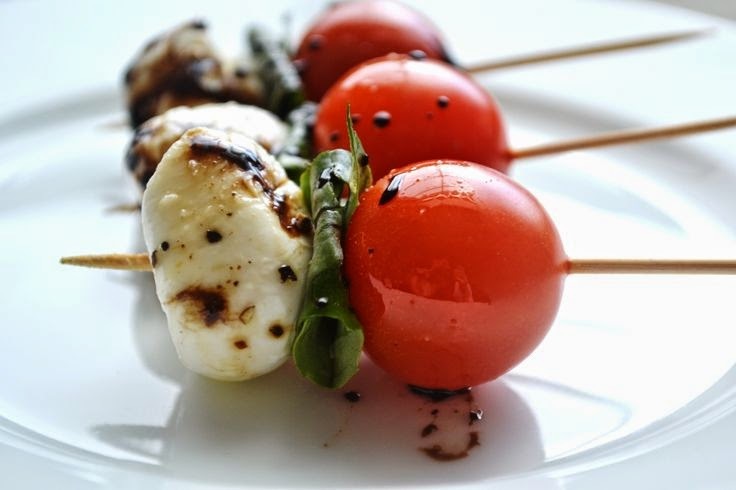 Caprese Bites. These are my Go-To appetizer when I am going over to someones house for dinner. They are easy to make and insanely delicious. Nate and I have been known to make a giant plate for dinner. So much yum. Oh, but instead of putting them on a toothpick, here is my method: Place sundried tomato and basil triscuits on a platter, place a leaf of basil on the cracker, slice tomato and lay on top of basil. then cut the mozzarella and put on top of the tomato. Finally, drizzle with balsamic and enjoy the crap out of those caprese bites. 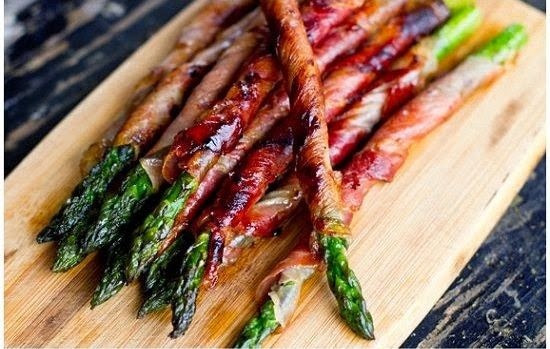 Prosciutto Wrapped Asparagus. I first had these at a Friendsgiving a couple years ago, but made them myself for the first time for my brother in law's engagement party that we hosted. Also very easy (and only two ingredients), but the pan frying does take some time. You can prep the asparagus ahead of time and just keep in the fridge until you're ready to fry. Hint: Wrap prosciutto at an angle to wind up the asparagus and add to an already warm/hot pan. You want the meat to be crispy and the asparagus to be softened. 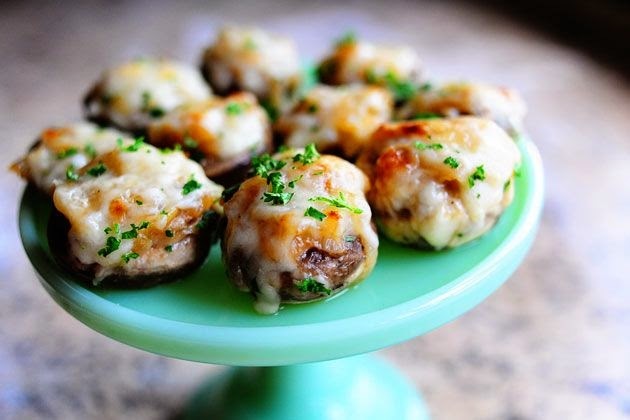 French Onion Stuffed Mushrooms. I could eat onions every.single.day. When I lived at home with my parents for the 3 weeks before our wedding, my Dad and I (who is also an onion enthusiast) destroyed an entire Costco bag of onions. To us, onions are like Franks Hot Sauce- we put that sh*t on everything!